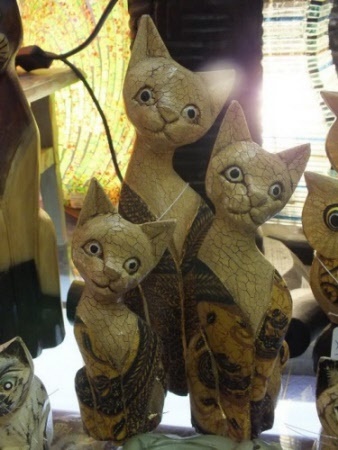 Just like the three wise monkies only they are the Three Wise Cats. 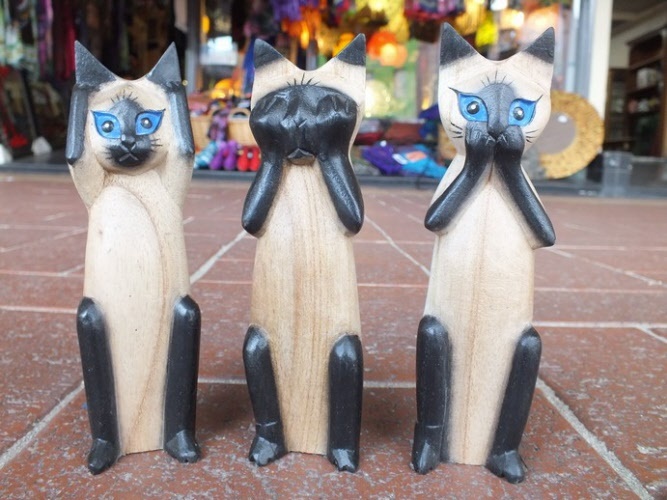 Hear no evil, see no evil and speak no evil. Made from wood and hand painted. 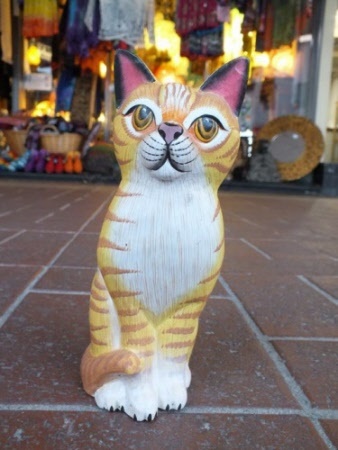 Life like tabby cat made from wood and hand painted. 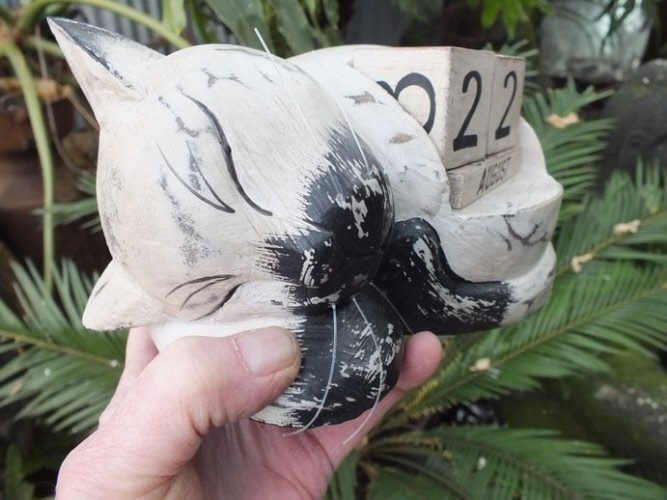 Brown in colour with antique style markings. 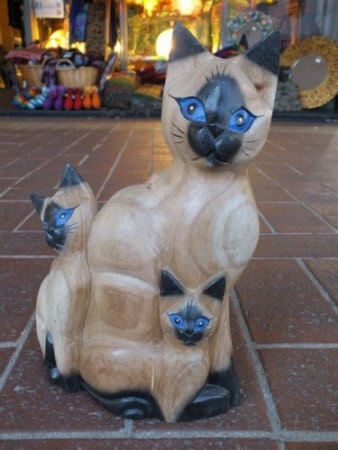 Siamese cat with her two kittens, an ideal gift for the cat lover in your family. 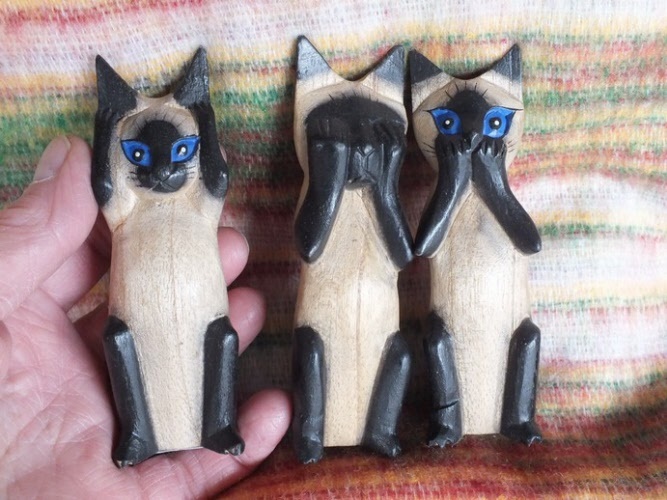 Get them for a special friend or spoil yourself if you love cats. 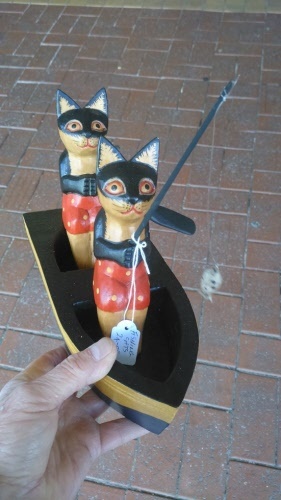 Great gift idea for a friend who loves cats - or just get them for yourself. Sure to be a talking point when you have visitors over - they won't have seen these before. Hear no evil - See no evil - Speak no evil Cats. 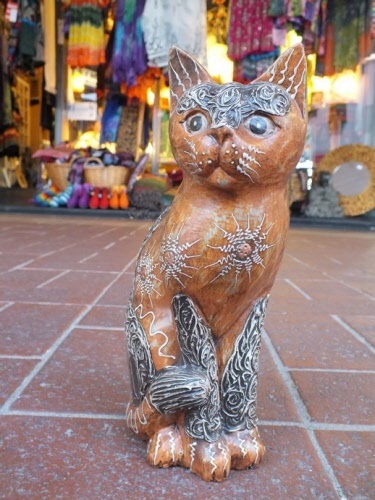 Made in Bali - carved from wood and hand painted. Beautifully made from wood and hand painted this set of three Rainbow Dreaming Cats are so colourful. Sure to please the cat lover in your family or circle of friends. Largest one measures approximately 35 centimetres so they are a good size. 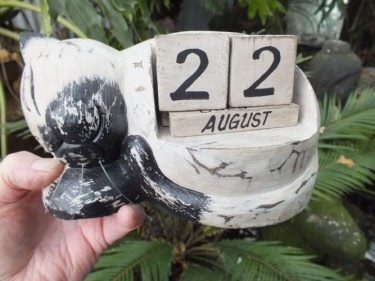 Ideal for the cat lover, or teach your children how to tell and change the day, month and year. Made from wood and so realistic and a fantastic learning aid. 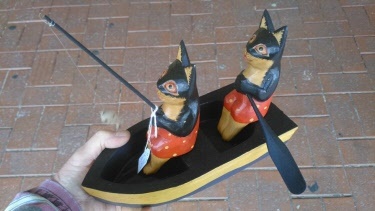 A great novel idea, two cats sitting in a boat, one has the oar to row and the other has a fish on his fishing rod. 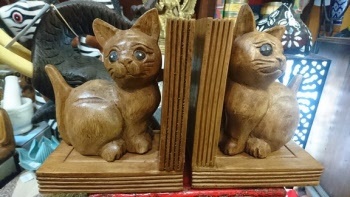 Made from wood, they should appeal to all cat lovers. 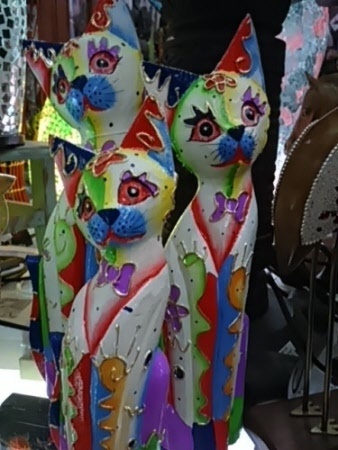 Click on photo to see another view. Beautiful pair of wood Cat book ends. All the way from Thailand to your door. Ideal gift for the cat lover in your family or circle of friends. Keep them books tidy on the shelf.